Just a quick note to let you all know you can now get the 50/60A LiFePO4 BMS board featured in my video, from eBay. An operator from the United States has graciously purchase 100 of these boards from the manufacturer, in the hope of making it easier for others to build this project. He’s an amateur radio operator trying to promote that DIY spirit and amateur radio. Lots of operators are comparing this battery pack to the 20Ah battery pack from Bioenno Power. Please remember you can’t get to 50 amp current draw pack from them, with such low watt hours. This DIY pack is designed to be ultra compact 10Ah/128wh/50A current draw pack, yet power a 100 watt radio or two. 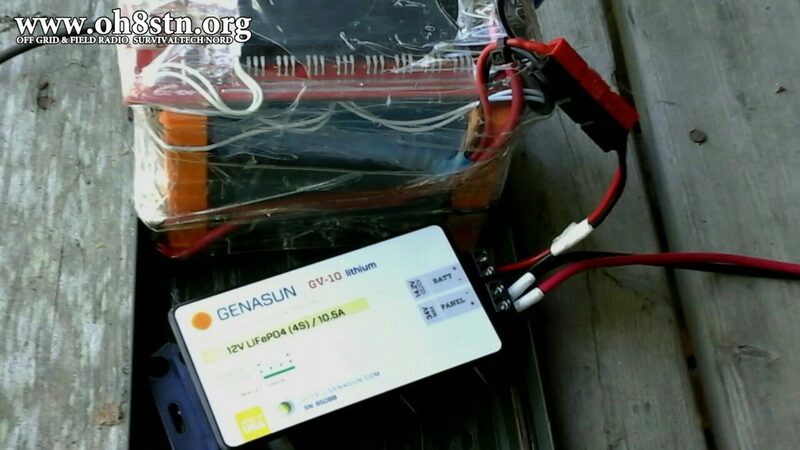 The following images from Jeff W5IJH, who also built battery pack. He was kind enough to share his cost breakdown on Google Plus. I’ve copied it here for anyone who has a similar question about cost. Finally here’s a video of the entire system: the battery pack, the solar panel, and the charge controller all working together as a man pirtable solar generator.